You probably remember when Julie Andrews as the title character nanny in the film Mary Poppins was trying to get her two charges, Jane and Michael, to clean their room. To introduce the song she begins with “In every job that must be done there is an element of fun” and then the orchestra starts up and you soon hear her sing “A spoonful of sugar helps the medicine go down”. When you move to another country where they don’t speak your native language it’s important to learn what the local people are saying for a variety of reasons. Once you get past the survival level where you can at least get food and shelter then you can start fitting in with your new neighbors and having fun. But of course, language isn’t the only challenge since there are cultural differences, new rules to learn, and administrative procedures to follow for everything from buying a train ticket to seeing a doctor. Thanks to an online course sponsored by the French government’s Ministry of Higher Learning, you can combine all of those tasks in one place. Appropriately called Vivre en France (Living in France) this free, online course is offered in language levels for beginners, elementary, and intermediate speakers. The object is to acquaint new arrivals with administrative procedures, daily life, French culture, and citizenship all while learning the language. Each level takes between 70 and 90 hours to complete as you go through videos, texts, and audio files that cover all aspects of moving to France and settling in a new environment. Numerous characters were created to simulate people with differing ages, backgrounds, and family situations. For example, Maria, from Chile is a student expecting a child; 52-year-old Japanese chef Yuta is single while Irishman Peter is married to Joel and they have an adopted son. On the subject of learning French for free, the state-owned television channel TV5Monde offers a huge range of videos, texts, and other resources for all learning levels at no charge. It takes a while to discover everything that is available and if you are not certain of your level, there is an online test that will guide you to the best starting point. 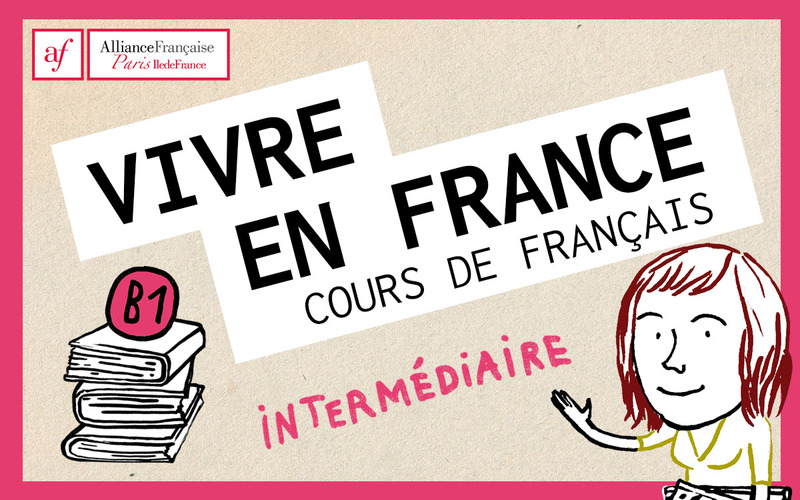 In an earlier blog post I talked about a booklet that the government publishes called Living in France which is, of course, the same title as these online courses mentioned above except that it’s printed in English. Now I’m beginning to wonder if that “spoonful of sugar” is the part about getting to learn some French in the process of finding out how to live here successfully or if it’s the other way around. PS: Sally, thanks for picking up the flyer that inspired this post. Posted on November 25, 2018, in Dealing with government, Life in France and tagged Americans in Carcassonne, Community, Life in France. Bookmark the permalink. 5 Comments. 🙂 received from our friendly Aude prefecture staff! Thanks for this! I’ve been in France for a year and have managed to stumble through. This help me know what I’ve done and what I need to do! Good info! Very useful post – thanks Bob! As always, thank you for your incredible resources!